These are just a few of the song titles belonging to 'Captain and Tennille', the high profile 'perfect' musical couple that entertained us in the 70's with their love songs. 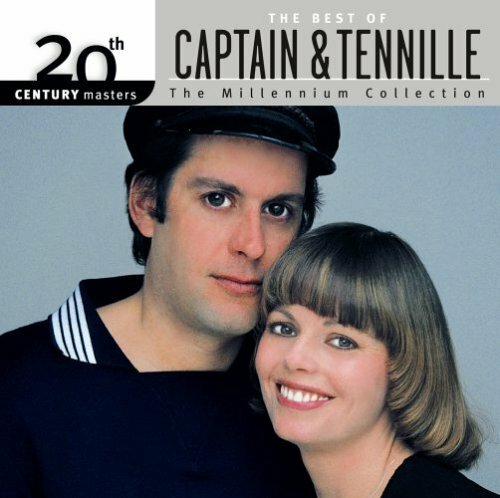 Toni Tennille (aka The Captain and Tennille) has recently written, 'Memoir', the story of her 39-year relationship with Daryl Dragon, her partner and husband. Toni shares in 'Memoir' how she stayed with Daryl for 39 years because she thought she could change him. She thought she could make him into the image of the man she thought he could be, an INTIMATE one. She just kept trying and trying and trying for years to make a man who was incapable of doing so, be intimate with her. No wonder these were the words to her songs, 'Lonely Nights' and 'The Way I Want to Touch You'. So what is it that had Toni SO desperate that she would give an entire lifetime (almost) to a fantasy, vision or the 'hope' of what could be? What is it that has us as a society project 'the perfect couple image' and 'perfect love story' onto a couple that is the complete antithesis of that image? What has us desperate to 'see' and/or 'be' The Perfect Fairy Tale Love Story'? Are we that unconscious? Are we that much in denial? Are we that afraid to value ourselves and believe we are worthy of having what we desire in relationship to others? It's a great question. From my perspective, Daryl Dragon was emotionless. When I watched Daryl perform, I received no intimacy from his demeanor. Where as, Toni was always smiling. She exuded BIG energy, sometimes TOO much energy for me. I guess that was the universe balancing itself out. Today Toni admits she stayed in the relationship because she didn't want to disappoint her fans. And, she really BELIEVED she could change her husband. She admits her projection onto her husband, and her ongoing need to seek connection where it would NEVER be found. It was through 8 years of counseling and the support of many women that Toni was able to reach her decision. YAY Toni! Like Toni, I too have tried with every cell of my being, (and yes, even with a 2x4) to motivate and inspire my husband(s), my children, my employees, my colleagues and friends into the potential that I see and feel they deserve to be. I have realized, it's a futile exercise. 2) Be present and honest with THIS potential. 3) Know the other person. 4) Be present and honest with what the other is available to give to me. * Find your true self 'in and outside' of that relationship. * Discover your highest potential, be present to and live THIS expression. * Hold the highest vision for them to grow into. I invite you to 'Know Thyself' through the visual map of your genetic imprinting called Human Energy Design. Human Design gives powerful insight into the dynamics of your inner life. It reveals your true nature and what you need to honor in yourself to live authentically. In addition, it can bring a deeper level of understanding and respect to your partnerships and relationships. To discover more about your personal genetic blueprint, email me at Tuck@TheRebelBelle.com or visit: www.TheFreedomTool.com.